Essentialism and social constructionism theories have long explained the difficulties women experience as they aspire to higher managerial positions or enter science and technology fields. In the 1970s, the Women as Managers Scale (WAMS) sought to determine the extent to which males perceived females as being different from their social group. Given efforts to encourage women to consider IT careers and changes in public law and education that have occurred since the early 1970s, this study revisited the WAMS to compare current attitudes of young people toward women as managers. 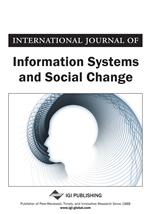 The results suggest that through the intangible individual differences of women, perspective, overtime, via training, by awareness, and with their greater participation in the workplace, there has been gradual improvement in the perception of women as managers by men in the science and technology fields. Over the past thirty years, the United States (U.S.) business environment has experienced tremendous political, social, and economic upheaval often directed toward improved managerial opportunities for women. In the U.S., women have entered all facets of the labor market and are currently about half of the workforce. It can be argued that women have already attained business career parity, including commensurate compensation, for managerial and professional positions in many fields. The leadership of the United States has been mirrored to a lesser extent by Japan and other developing countries but success is seen as tapering off (Owen & Portillo, 2003). In particular, data from the late 1990s shows that general gains in employment opportunities did not extend to similar increases in the number of women holding IT/IS managerial positions. By 2000, American women comprised 47 percent of the total workforce; while only 29 percent of workers in IT/IS were women.